Have you downloaded the correct version? GogTasks comes in three different versions for each version of Outlook (2003,2007,2010). They are not compatible. Please make 100% sure you've downloaded the version which matches your outlook version. Unsure of which version you're running? 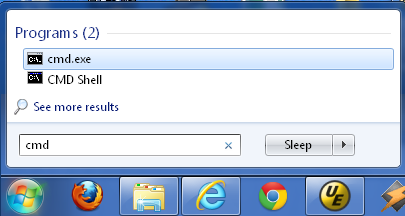 Click the Help > About button in Outlook. Note: For Outlook 2010 you should check also that the version number of VSTO is correct. See the "Add/Remove programs" list (Win+X - "Programs and Features") and verify that you do indeed av Visual Studio Tools for Office Runtime (x64) v10.0.50325 if you have a 64 bit system. Verify that GogTasks is properly installed. You can do this by clicking Start and entering "add remove" in the search box and selecting the uppermost hit (Windows Vista/7). 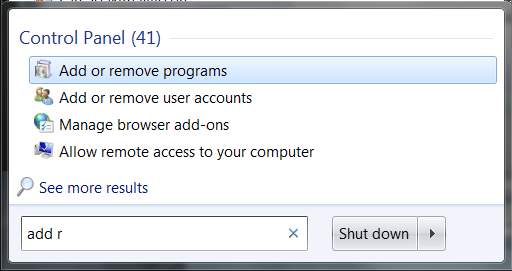 In Windows XP, go to the Control Panel and select "Add or remove programs"
Has the add-in been disabled? This can happen if an unexpected error occurs in GogTasks. As a precaution, Outlook then disables the add-in. You can remedy the situation by re-enabling the add-in manually. Of course, if this is a recurring error you will have a fulltime job - in this case, contact Nilsen Labs with a description or screenshot of the error message you are experiencing. To check for disabled add-in, click File > Options > Add-ins. If GogTasks is listed under "inactive", click the Go-button at the bottom of the form. Follow up by checking the GogTasks add-in and click OK. Restart Outlook and check if GogTasks now is back in the Add-ins tab. If this didn't help - follow instruction in the the chapter "GogTasks constantly gets disabled". If GogTasks2010 is neither in the inactive nor active section, try selecting "Disabled items" and then the Go-button, see if it's listed there. Enable it if it is. See screnshot below. To check for disabled add-in, go to the Tools menu > Trust Center. Select the Add-ins tab and look for GogTasks. If it's under "inactive", click the Go-button at the bottom of the form. Follow up by checking the GogTasks add-in and click OK. Restart Outlook and check if GogTasks now is back in the Tools menu. If not - follow instruction in the the chapter "GogTasks constantly gets disabled". If it's neither in the inactive nor active section, try selecting "Disabled items" and then the Go-button, see if it's listed there. Enable it if it is. See screnshot below. 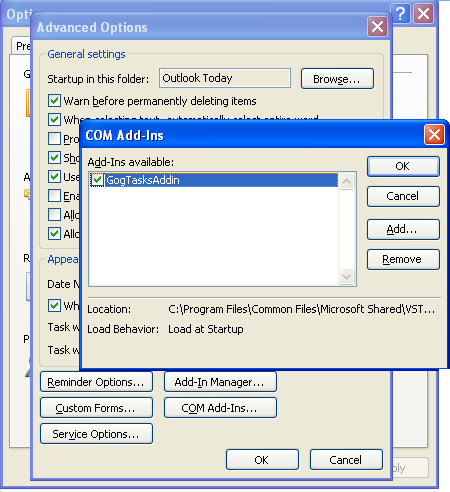 Go to Tools > Options > Other, click Advanced Options and then COM Add-ins. Look for "GogTasks" or "GogTasksAddin" Make sure it's checked and click OK. Restart Outlook and check if GogTasks now is back in the Tools menu. If not - follow instruction in the the chapter "GogTasks constantly gets disabled". If the add-in constantly gets disabled by Outlook, it most likely is because it consistently produces errors. Outlook often chokes these errors, so we can try starting GogTasks outside of Outlook. 1. Start a command line prompt by clicking Start and entering "CMD"
If the GogTasks settings form displays, it's clear that GogTasks in itself is working. The problem must lie in the VSTO prerequisite (see section 1) or Outlook installation. An error message is produced. Please click the Details button (if any) and copy-paste the content of that error message in a mail to Nilsen Labs at support@nilsenlabs.com and we will look at the issue.